Do you know about the new Skills Bank for the Sheffield City Region? The Skills Bank is a government/LEP initiative aimed at workforce training and development in the Sheffield City Region. It is a £17m fund – new for 2016 – comprising of funding from the European Social Fund and Growth Funding. What is the Skills Bank? The Skills Bank is an exciting new service which invests in skills and expertise to drive business growth, and will run from Spring 2016 until March 2018 to help local businesses develop skills and grow. 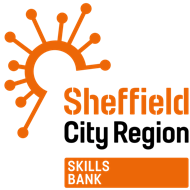 The Skills Bank is a facility to help improve the skills base of the workforce in the Sheffield City Region, whilst also changing the way the skills system operates – placing the purchasing power for skills in the hands of employers. The £17m support will be used to either fully fund or partially fund the training and development needs of local employers. The employer (i.e. you) may be eligible for funding, but will still likely be required to make a cash contribution towards the cost of training. The employer’s cost of the training and development will depend upon the number of learners, the duration of course, the method of delivery and the course content. The Skills Bank is an opportunity for employers in the Sheffield City Region, comprising of nine local authority areas: Barnsley, Bassetlaw, Bolsover, Chesterfield, Derbyshire Dales, Doncaster, North East Derbyshire, Rotherham and Sheffield. What does the Skills Bank work for employers? The Skills Bank will support employers who have training and development needs in the Sheffield City Region. Submit feedback and a review on the learning that has taken place. You can find further details and FAQs about how the Skills Bank works here. This is an exciting opportunity for all employers in the local region, particularly for those who have very specialised training and development needs, which may not be cost-effective to provide in-house. Can the Skills Bank support your business? A new website has been launched for the Skills Bank in the Sheffield City Region. Please take the time to visit the website to understand how the Skills Bank can support your business and check whether you are eligible for a skills deal. You can quickly complete the “eligibility checker” and register your business for training opportunities. Please click here to visit the Skills Bank’s website.